A person’s personal numerology number changes every year. 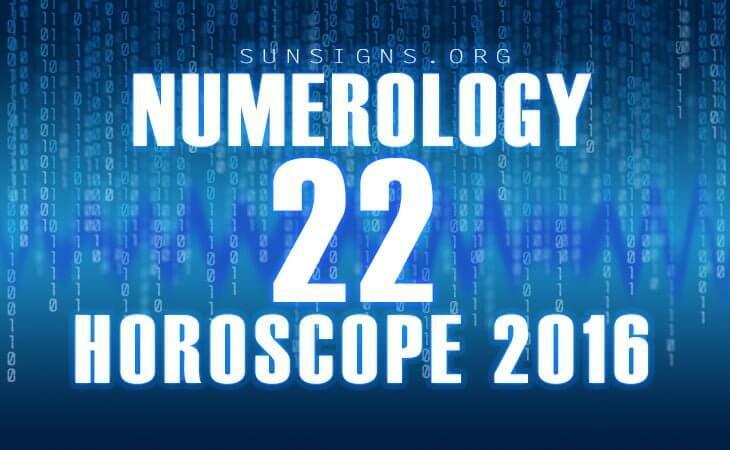 The numerology predictions 2016 foretell that if your personal year for 2016 is 22, then you’re in for a decent year. Because 22 is not in the usually cycle that contains the number one through number 9, it shares some of the qualities of some of the numbers in that cycle. When it comes to the number 22, it shares many of the qualities of the number seven, eight, and nine in numerology readings. The number seven is known for spirituality, but also for planning. Eight is a number for giving back. When the number seven is your personal number your year is likely to be easy. Many people recommend that you plan during this year for the years ahead. Since people who know a lot about their personal numerology numbers know to plan ahead, when their personal number is seven. If they do plan well enough, then when their personal numerology number is eight their year goes by easily. They are likely to have many financial and social gains. Finally, when they reach the end of the cycle and have nine as their personal year they have enough to give back to the people who helped them before. The number 22 encompasses all these qualities, and your year will go by easier if you know about it. The numerology 2016 horoscope for number 22 suggests that you should take some time out of your day to plan for the future. This year is likely to be pretty easy for you, so it’s a good idea to plan ahead for future years when things might not be as easy-going. If you do a successful job at planning during this time, then you’ll see the results in future years. If you do not take the time to plan this year, then you’re likely to have a harder time in future years. Organizing your life is highly important when 22 is your personal year number in 2016. The personal year 22 in 2016 is also a year to give back to your community and spend time with the people to help to make your life easier. It is important that you make strong social connections during this year. Try to make strong friendships and close business relationships. If you do this, then not only will 2016 be a little bit easier for you, easier for your friends, and in the years coming up these relationships that you make will be able to make your life a little easier. Also, giving back to your community will help to raise your reputation, making it easier for you to make more friends and succeed. The number 22 personal year is also a time for change. Maybe you’ve noticed that some of your old ways just aren’t keeping up with the current times. This is common with people who are stuck in their ways. You need to be adaptable if you want to be able to succeed in 2016. Changing some of your own views can help you to be a better person and make more progress in your life. Also, but changing your routines you may find something new that you’ll love doing. If you do all of the things in this article – planning, giving back, making friends, and changing some old ways, then your year 22 is bound to be productive in 2016. This can also help you set yourself up for success in future years. These things are important to do, predicts the number 22 numerology 2016 forecasts. They are also helpful things to do for prosperous other years as well. Keep all these things in mind in 2016 when your personal year numerology is 22.